It’s the simple things that do not have much cost affiliated to them that often times make a big difference to a potential buyer. Sellers ~ de-clutter your home before your home hits the market!! Here’s one of my simple tips that will help in selling your North Shore home. If you are planning on selling your home, start by organizing your front hall closet…. Buy a box of wooden hangers (they look solid and substantial while costing less than a dollar each). Take out all the coats and jackets and choose one or two for each person in the house – one if there is little space, two if there is more room. Take out anything that is not a coat, boot, scarf and glove related. Find a different place in the house for these items. Toss the bent hangers and mismatched mittens. You can pack your seasonal coats and outerwear now, in anticipation of the move. You might take this opportunity to have your coats cleaned and for the ones that have not been worn for years….donate them!! This is a good first step to preparing your home to go on the market. If you are ready to sell your North Shore home – give me a call. First impressions are critical both online and when a potential buyer comes to view your home. We will walk through every room and come up with a plan to make your home look its best! Why wait until Spring to list your Highland Park, IL home? Why wait until Spring to list your Highland Park IL home? The Buyer’s are not waiting to buy ~ they are ready now! Attention home sellers who are thinking about selling in 2017 in Highland Park IL and/or along Chicago’s North Shore…..there is very limited inventory……Now may be the best time to get your home on the market….. I always find that there is something about the transition to a new calendar year that gets everyone excited about change. For some it may be hitting the gym, reading more…maybe it’s selling your home. January is always a great time for resolutions, goals and fresh starts. For the home buyer who wants to buy a home ~ they are out there looking as its their goal for 2017. I have multiple buyers in various price points who are looking for homes in Highland Park, Glencoe, Wilmette and Winnetka. They are ready to buy and are pre-approved but are not able to find a home due to lack of new inventory. Sellers ~ why wait? The buyers aren’t. Get a market evaluation for your home, get it show ready and take advantage of not having as much competition. Waiting to list your home in the Spring may not be in your best interest. The buyers are out looking and waiting for homes like yours to hit the market. Highland Park IL Real Estate Broker- Finding a great match. 1. Choose a Highland Park REALTOR who meets your needs and suits your personality! The best way to evaluate a Highland Park IL prospective agent is face to face, so you can get a good sense of your dynamic. It is critical to select a Highland Park IL REALTOR who puts you at ease since you will be spending lots of time together. I am both laid-back and very focused, and a long career in sales has taught me that my client’s happiness and satisfaction is of utmost importance. Looking to buy in Highland Park IL? If you are out of town or squeezed for time I’m happy to chat on the phone, but if your schedule permits I’d love to meet for coffee. If you want to sell your Highland Park real estate, I am happy to visit you at home to make staging recommendations and tell you about my marketing strategy. My goal is to get you the best deal as soon as possible. I’m all about transparency and will give you insight to every step of my process and sales approach. Trust is paramount when it comes to selecting your REALTOR. A great REALTOR will do their best for you and protect your interests. Ask prospective agents about their schedules, track record and current client load. Some real estate agents do it as a hobby, while others do it full-time. I’m on the job all day, every day and well into the night (just ask my kids). When you hire a full-time Highland Park IL real estate agent, you know that they are committed to your search full-time as well. During your search for the perfect home or condo, a Real estate agent will be looking for the home on the multiple listing service that fits your bill perfectly. Some of my best leads come from other channels. If the MLS isn’t turning up a great property at my client’s price point then I tap into my network. I ask the agents in my office, Coldwell Banker Residential Brokerage, if anyone has a listing that they know that is coming on the market soon. I have great relationships with agents at other offices in town and always let them know what my clients are looking for. Despite a good or a bad real estate market, many times the best homes do not even hit the market. On more than one occasion, I have bumped into other agents while meeting with clients at Starbucks and casual conversation has led to one-time showings of homes that aren’t even listed yet. I will do everything in my power to find the ideal home for you. 4. Choose a Highland Park IL REALTOR who understands your wants and needs. Your REALTOR needs to listen to you. I do my all to make each move and home purchase/sale as smooth and pleasant as possible. Buying a home can be stressful, so my goal is to make the process as simple and stress-free as possible. 5. Choose a local Highland Park IL REALTOR. Your REALTOR should know the community like the back of their hand. Your REALTOR should be able to give you the lowdown on schools, subdivisions, school districts, boundary lines, commuting, local resources and government. As an example, in Highland Park, residents who live west of Highway 41 can choose to send their children to high school in Highland Park or Deerfield. I recently worked with a blended family where the wife had raised her kids in Highland Park and the husband’s kids had grown up in Deerfield. By choosing a home in Sherwood Forest, their kids were able to go to high school with the same classmates they had known since kindergarten and everyone was happy. When you are negotiating on behalf of your client, insider knowledge always gives you the upper hand. If you are representing the buyer and the seller refuses to come down in price, you have unique insight if you have seen the inside of the comparables and know why they sold at a given price. A local REALTOR with strong relationships with other professionals in the community is negotiating for you on solid, well-established ground. I just sealed a fantastic deal in Highland Park – My clients purchased a home before it hit the market at a great price!!!! If you would like more information about the City of Highland Park, or Highland Park IL Real Estate ~ please contact me ~ I’m ready to help you with your Real estate needs. Lake Shore Recycling Services will be conducting their annual Spring Clean-Up Program for the City of Highland Park on four consecutive Saturdays, beginning April 30 and ending May 21. This is a great opportunity for Highland Park Residents to declutter and get rid of their JUNK. Every year it amazes me how much “stuff” we accumulate to put out at the curb. This year will be a big declutter year for us from our shed as our boys have outgrown bikes and other toys to many other knick knacks – it’s the perfect time to purge! As an REALTOR in Highland Park IL – I know that the annual Spring Clean-Up Program is fabulous for those who are selling a home and for those who have bought a home. I actually just reminded one of my clients who has been living in their home for over twenty years to take advantage of the special pick up – IT IS FREE!!! For those of you who are thinking about moving it is a great time to get rid of all of the things that you have kept throughout the years that you no longer need. For the buyers who have just moved in – get rid of the boxes and wrapping supplies and of course “those extras” that you have no idea why you actually took with you from your last home. In order to guarantee collection, all items for collection must be placed at the curb by no later than 7:00 a.m. on the scheduled collection day. Spring Clean-Up will coincide with residents primary garbage collection day (the primary collection day is the day when both garbage and recycling are collected). If you are planning on getting rid of old appliances be sure to call Lake Shore Recycling Services ahead of time @ 773.685.8811. Don’t forget – this is an annual FREE PICK-UP which is offered by Lake Shore Recycling Services – take advantage it! Your home will thank you for decluttering! Is your home feeling tired? Looking for a simple face lift? Every now and then I look at my own home and realize that while I’m out and about assisting sellers and buyers with their Real Estate Needs I often times skip over the advise which I give to others. I have written posts about prepping your home for sale and thought to myself….why not take my own advise and apply it to my own home?!?! No I am not in the market but I thought a few little changes can probably make a difference. So think about it….Is your home feeling tired? Is your home in need of a simple face lift? Below are a few simple tips which will brighten up any home both inside and out – regardless if you are thinking of selling or just looking for a simple face lift for your home. 3. Get two planters one for each side of the door ~ at least you will be prepared to plant flowers when Spring finally arrives!!! 5. Get a garbage bag and clean out a drawer or two – you’ll be amazed how quickly the bag is filled. Just pick a few of these tips and you will be amazed what a little face lift can do to a home. I strongly believe that – “change is good” and I think that every home deserves a change once in a while too. Why Wait Until Spring to List Your Highland Park, IL Home ? Why wait until Spring to list your Highland Park IL home? Attention home sellers who are thinking about selling in 2015 in Highland Park IL and/or along Chicago’s North Shore…..there is very limited inventory……Now may be the best time to get your home on the market…..
Why Wait Until Spring to List? The Buyers Aren’t Waiting to Buy. There is something about the transition to a new calendar year that gets everyone excited about change. It is a time for fresh starts, new outlooks, resolutions. For buyers who want to buy a home they are out there surfing the internet, driving around and looking for open houses. Sellers – Why wait? The buyers aren’t. Get your home on the market now and take advantage of not having as much competition. You might be able to squeeze a bit more out of your home when it comes to sales price. The more competition you have in the spring, the more competitive your price has to be to get attention. Spring is not always the best time to sell. Beat the rush to market and list now. Let your home shine! The buyers are out here waiting for homes like yours to hit the market. Buyers are looking for homes in Highland Park IL. – new listings are in high demand. As an active Broker in Highland Park IL and surrounding North Shore Suburbs there is a limited amount of inventory available. If you have been contemplating putting your North Shore home on the market you should take the plunge – there are lots of buyers out there ready to pull the trigger that want to buy a home – maybe yours! Keep in mind that your house will need to be priced right, de-cluttered and marketed by a professional Real Estate Broker who can guide you through the process and get your home SOLD! Veolia Environmental Waste Services will be conducting their annual Spring Clean-Up Program for the City of Highland Park on four consecutive Saturdays, beginning April 30 and ending May 21. This is a great opportunity for Highland Park Residents to declutter and get rid of their JUNK. Every year it amazes me how much “stuff” we accumulate to put out at the curb. This year will be a big declutter year for us from a trampoline to a couch to many other knick knacks – it’s the perfect time to purge! If you are planning on getting rid of old appliances be sure to call Veolia Environmental Waste Services ahead of time. A special number has been set up for appliance pick-up: 1-800-480-4337. Also, Veolia will not pick up the following items: Regular garbage; yard waste: debris from landscapers, tree trimmers, or contractors: demolition material from fences, roofs, or exterior building debris: rubber tires: batteries: and oil and household hazardous wastes, such as paint, pesticides, or pool chemicals. Don’t forget – this is an annual FREE PICK-UP which is offered by Veolia Environmental Waste Services – take advantage it! Your home will thank you for decluttering! Want to Sell Your Home- Make Sure it Looks its Best! 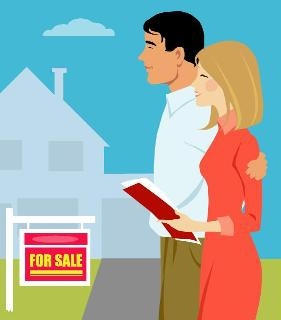 As a Real Estate Professional assisting sellers and buyers along Chicago’s North Shore suburbs with their Real Estate needs I share this with every client: In today’s market it is essential to list your home correctly AND to also have your home look its best. Prepping your home for sale is so important – you want the potential buyer to focus on the home and its features – not on your belongings. I think that if a home has too much of you in it then you should consider staging it. The following post – Make that strong bond with your house– really magnifies as to why a seller should consider staging. When you live in a home you bond with it. The house becomes your home. You know every nook and cranny and it’s comfortable. You may not realize it but that bond started when you first saw the house. Something about it appealed to you. The fireplace, the family room, the kitchen or the master bedroom said ‘I’m perfect for your lifestyle. Now that you are selling your home needs to become the house we had on X street. That bond needs to be broken so you can move on. In a way that is what Staging is all about. Staging helps the buyer see the features of your home clearly and allows them to begin the bonding process that leads to a sale. The changes that occur during the Staging process also help you break your bond with the house. The bonding process starts with those MLS photos. Many buyers start by looking on the Internet. They see something they like in the photos and put that house on their ‘to see’ list. The next bonding experience is your curb appeal. The buyer arrives and in about 7 to 10 seconds forms an impression about the house. Staging helps your curb appeal reassure the buyer and draw them out of the car. Once the buyer is in the house Staging helps create positive feelings. It allows the buyer to see past you and see the features of the house. They can imagine how they will use the space. Every time they mentally place an item they own in your house they are bonding and buying. Meanwhile, you have made your home less personal, less your home, more a house. This helps you separate from the house. You have started packing up your memories to take with you to your next home. Are You Aware of Underground Fuel Tanks on the Property? Do You Have an Oil Tank Buried in Your Yard? It’s a question which every home seller must answer in Illinois when filling out the Residential Real Property Disclosure Report. The questions on the Residential Real Property Disclosure Report are to be answered by the Seller to the best of his/her knowledge. Question #20 States: I am aware of underground fuel storage tanks on the property. The seller answers the question – yes, no or n/a. At a recent inspection for a buyer, an inspector indicated that there may be an oil tank buried on the premises. He pointed out to the Buyer and me that the thin capped pipes in the basement were an indicator as well as metal piping sticking out in the front yard by the house. We shared this with the seller and the seller’s agent and they were quite surprised to hear that there may be a buried tank. The seller has lived in the home for over forty years and was not aware of the buried tank. I explained that we would have a specialist come out to further investigate. I called Tom Osusky of Cicero Oil Company, who I have called before for other clients. Tom has been in business for over 20 years – he is very matter of fact and honest. I met Tom at the house, he probed the yard and was able to locate the oil tank within minutes. Although it is not a requirement to remove an oil tank my buyer did not want to inherit the house with the buried tank and requested for it to be removed. The seller happened to be at home when Tom came out to the house and decided to hire him on the spot to remove the tank. This is just another “hidden cost” that a seller may have when selling his/her home. The cost to remove the tank varies between $2400-$3600. If you have an oil tank that needs to be removed give Tom a call at 773.581.2041. Cicero Oil Company services clients in the greater Chicago-land area and Lake, Cook, Will, Du Page, McHenry counties. I highly recommend Tom and his company ~ Cicero Oil.